Upstream - 5 things to look forward to in 2019! 2019. Here, well and truly, settled in like my sister-in-law’s labradoodle on my best carpet. Nothing to look forward to now that Christmas is over for another 342 days. Well, cheer up, there’s plenty to perk you up (Brexit! Joking only) and take your fancy in our lovely borough. As part of an occasional series (for occasional read: uncommitted blogger), here are 5 things Upstream is looking forward to this year. More fun at the Invention Rooms: Imperial College’s Invention Rooms is a shared space in White City. Cutting-edge workshops, design studios and interactive spaces are available to encourage innovation and collaboration between the College, local community and other partners. In December, the Invention Rooms reopened after an overhaul, with new facilities now including a community garden and outside terrace, a new café, and space for exhibitions and events. There are events to please all ages and interests including at Makerspace, so keep and eye out for future activities here. Publicis: One of the world’s ‘big five’ media and advertising agencies is moving 2,000 employees to a single site – White City is about to get a whole lot livelier, just in time for the summer. Upstream’s vision for the White City innovation district is to see open innovation and collaboration between businesses in the same and across different sectors. Might Publicis’ new exposure to 800 chemistry professors, researchers and staff down the road change the future of their company? Dead Dog in a Suitcase: Lyric Hammersmith’s offering opens on 21 May with a three week run. Initially thrown onto our list because the title is just a little intriguing, we think this musical satire, based on the Beggar’s Opera is a must-see this summer. An assassinated mayor, a contract killer marries a local beauty, her parents aren’t too happy etc. A distraction from the already surreal world we inhabit. Tickets here. 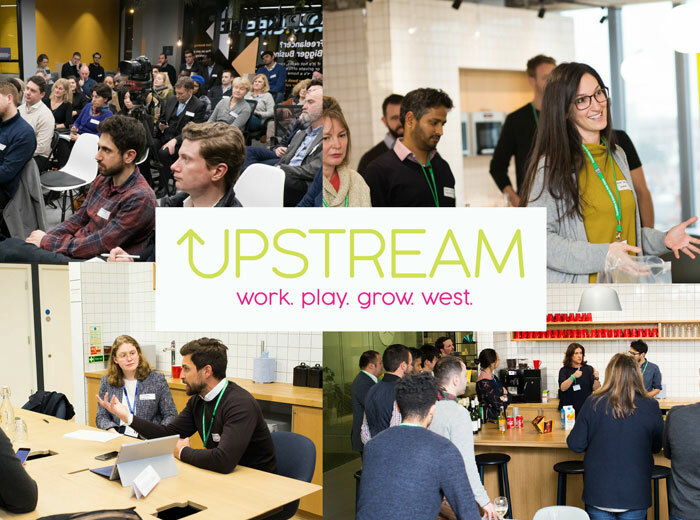 Upstream events: No way this list wasn’t going to include the great line-up we have – sign up and RSVP here as required. Come meet other like-minded people who work in the science, tech and creative industries over a drink or two. January 31st sees SeedLegal talk through how to make legal paperwork less painful (yay! ), February sees our sales masterclass on how to build a world-class tech sales team, a discussion at Blenheim Chalcot on how tech will change the way we work and the launch of our ‘Money Talks’ series by the MD of SeedCamp. Le Petit Citron: Our favourite new local haunt when we’ve failed to make evening plans. This newly opened family-run bistro at the bottom of Shepherds Bush Road (near Brook Green) serves beautifully, simply cooked French food from the South-West and Provence. Take your time over supper sans children, if not, try their two-course express menu £10 from Tuesday to Friday.